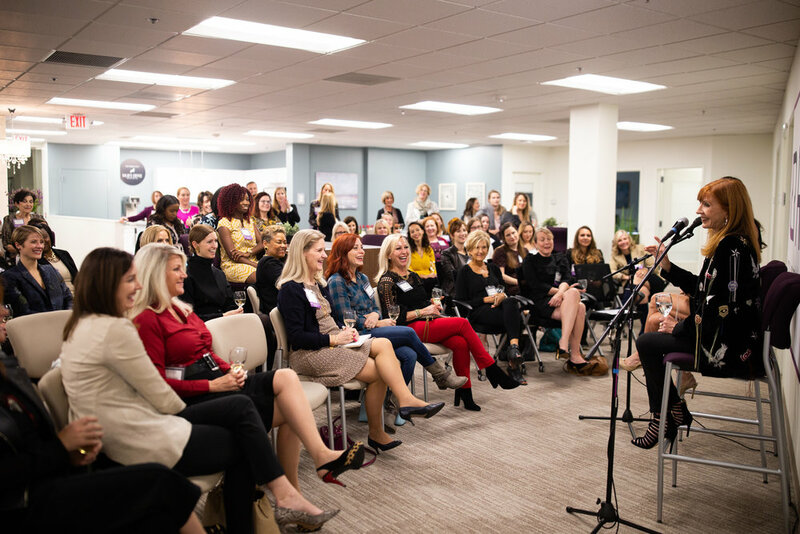 We had an incredible turnout in St. Louis for Women of Influence: A Conversation with Nicole Miller! We love seeing all our full-time St. Louis staff connecting with women over coffee (or smoothies!). Check out Rian Edwards with Ellie Scott, Stacy Taubman with Samantha Menezes, and Kate Wiegmann with Annie Harper and Emily Smith. RISE Member Jill Butler using the conference room with the RedKey Realty team! Megan Keyes and Kate Wiegmann, Amy Gascon, Rian Edwards and Galina Bour, and Kim Lozano. And do you see Lisa Picker in the conference room discussing the Women’s Foundation? Ladan Kamfar and Julie Jones peer-editing their chapters of On the RISE, Volume 2!